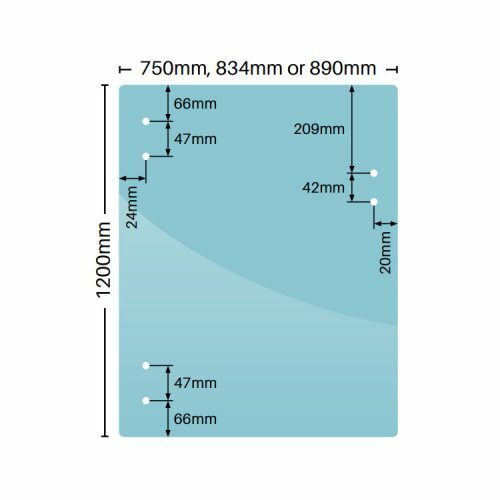 We offer 3 widths of 8mm clear toughened pool gate panels. The gates may be used to hinge from glass hinge panels or adjacent to a wall or post. Holes are pre-drilled in gates to match Master Range hardware. 8mm thick glass gates are lighter than 10mm or 12mm thick glass gates which leads to less wear and tear on gate hardware over the long term. All glass is grade ‘A’ standard, proudly displays the PAS-MARK product conformance mark as issued by Certifications Solutions International and is Australian compliant AS/NZS2208. All glass is shipped with corner protection in packing.